Okay, time for a cultural quiz. c) The flush on your toilet. In Britain we have the bog standard term of flush, but the French have something far more elegant – a chasse d’eau – literally meaning the water purging mechanism. Asking someone therefore if they have done the necessary to purge the toilet bowl of its contents becomes a little trickier in French than in English. « Have you flushed? » (Which is a very personal question) becomes, in French « avez-vous tiré la chasse d’eau » (avay voo teeray la shass doh?) which means literally – have you pulled the chain (back in those dim dark days when all toilets had chains). If I am addressing the subject of bodily waste disposal it is thanks to the ladies and gentlemen of the European Union who are charged with the task of harmonising Europe wide practices. Those whom the UK tabloids refer to as the « Eurocrats » or « Brussels Bureaucrats » have spent the last few months (and nearly £90,000 Euros) coming up with a 122 page report on European flushing habits and a way to standardise them in order to save water. Looking at just how much water we consume in washing away our bodily waste their proposals actually make good sense. Across the European Union 25% of domestic water usage was for flushing. Brits use 30% of their domestic water for flushing, whilst the champion Euro Flushers are the inhabitants of Luxemburg (who should by rights be called Luxemburgers – but I didn’t want to use the term because it sounds silly). Champions of least use are the French with toilet flushing representing just 14% of domestic use. Conclusion, we go to the toilet less in France or we save up what is in the bowl for one big family flush at the end of the day. 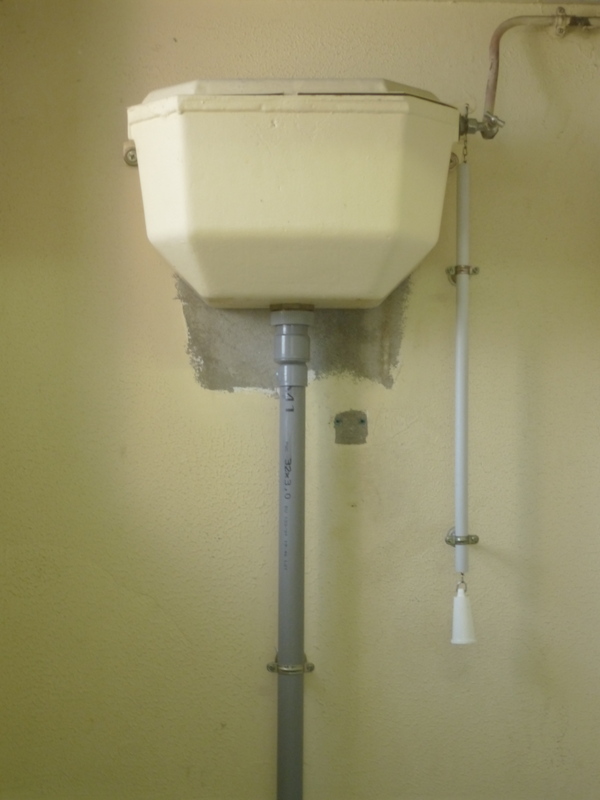 To limit wasteful flushing, the Toilet Techs in Brussels are a smaller, standardised 5-litre cistern (or tank) on all toilets throughout the EU. 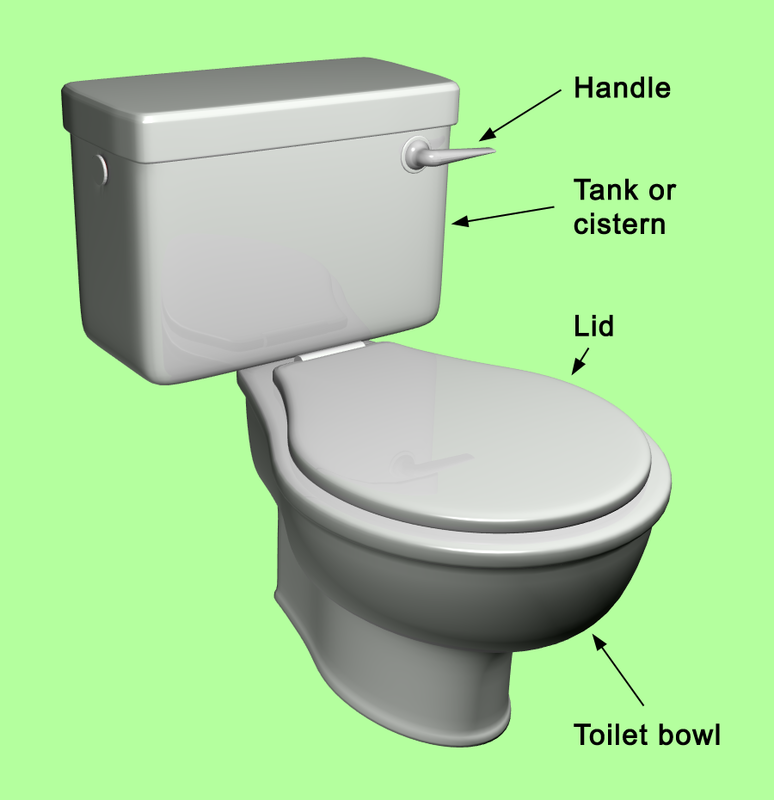 In Britain, there are no cistern regulations, however under current UK Department of the Environment guidelines, the 6-litre tank is the recommended norm. However, houses with older installations will have 7 litre or even 9 litre tanks. In France we have a standard 6-litre tank. 5 litres doesn’t sound a lot to wash away one’s sins, however I suppose it just depends on how much (or how little) you do – and if it won’t all go down in one flush, you’re going to flush twice. I was once informed by a Canadian friend, that there was an enormous cross border traffic in cisterns – with Americans heading into Canada to buy a 7 litre tank to replace the mandatory 5 litre US tank. I am just wondering if we suddenly have a 5 litre EU standard, will there be hundreds of EU citizens heading in to non member states like Switzerland or Norway to buy big flushes? The Euro-loo report also goes on to give figures on the number of toilet country by country. Top of the Euro loo league are the Germans with 77 million private and public toilets. 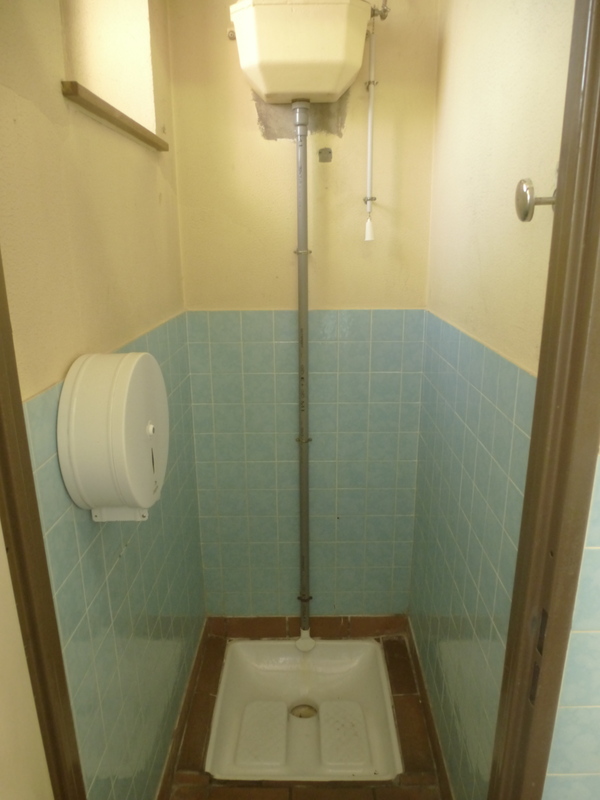 In Britain there are 45.6 million toilets and 42.3 million in France. Personally, I would ask the bog boffins in Brussels if, instead of standardising the cistern size, they could not issue a European directive for standardising the toilet itself. There are still places in France, where as opposed to sitting down; end users are still having to squat over a hole in the ground – There are at least three bars and restaurants in my town, where squatting is still the norm. My worst squatting experience came in June of this year, when y employers (the French army) sent me away on manœuvres for a few days. On the camp where I stayed, there was not one sit down toilet in any of the barrack buildings – holes in the ground everywhere. When you are not used to squatting, the process of sending your dinner to its final resting place is a very precarious and delicate business. First and foremost, squatting is painful and tiring (especially if you are constipated) Secondly it is all about getting the angle right, so as to send your offering well down into the hole and not into your pants. Finally, stand well back when it’s time to flush – 5 or 6 or 7 litres – I don’t know, but when you pull the chain, you unleash a tsunami. There you are folks – you have been warned. Flushing of course is not a problem if you have « dry » toilets. Just fire away and then chuck a bit of sawdust on top. Let Mother Nature and the maggots do the rest. Of course it’s far more technical than that – so here is a WIKI explanation. A composting toilet is a dry toilet that uses a predominantly aerobic processing system that treats excreta, typically with no water or small volumes of flush water, via composting or managed aerobic decomposition. Composting toilets may be used as an alternative to flush toilets in situations where there is no suitable water supply or waste treatment facility available or to capture nutrients in human excreta as humanure. They are in use in many of the roadside facilities in Sweden and in national parks in both the United States and the United Kingdom. The human excrement is normally mixed with sawdust, coconut coir or peat moss to support aerobic processing, absorb liquids, and to reduce the odor. The decomposition process is generally faster than the anaerobic decomposition used in wet sewage treatment systems such as septic tanks. Now I daresay that the Swedes have spick and span composting toilets, but having worked with a colleague who had dry toilets in her house – well … she stank of compost the whole time. And why have dry loos at all? Just crap in the composter. My neighbour regularly lets loose on his compost heap and Oh Boy you should see the size of his vegetables. Posted in Toilets and tagged bodily functions, Britain, Brussels, composting toilet, European Community, fllush, flush, France, loo, toilet. Bookmark the permalink.